You can check: VLF7 Set A & B, VLF7 Set C & D.
Bing, a single mother, leaves her two grown children to live on her own. Still grappling with uncertainty, she moves in her new apartment with the help of her son Kael. In the deceptively simple conversation between mother and son, ambiguous and seemingly random recollections paint a portrait of a woman trying to rediscover strenght, and the drive to revisit her long abandoned desire. If you were trapped on your rooftop with nothing but only your wimp husband or a nagging wife in the middle of the tragic typhoon Ondoy, what would you wish for? 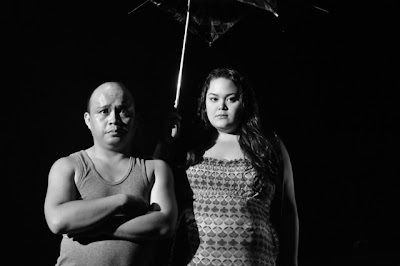 Mercy demanded for an annulment while Obet wanted only his son to stay and Mercy to be booted out of “roof.” The storm begins, the battle begins. The couple’s struggle to save their lives was awkwardly turned into a fight, crystallizing their own family “storm” – their chronic, even futile problems. 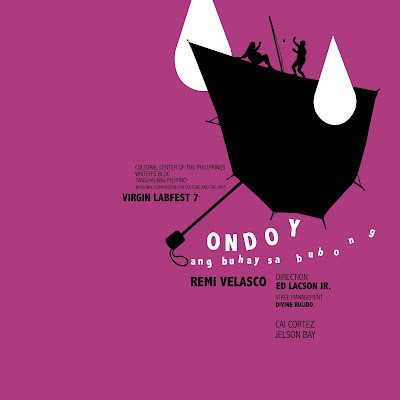 But when Ondoy subsided, who will be booted out? Gilbeys and Brandy, 20 years apart are husband and wife, pimp and whore who love each other dearly. Brandy with her repertoire of roles as nurse, baker, cook or tutor does her trade with perfunctory ease that brings to the table Gilbey’s sole diet: chicken gizzard. However, life gets more difficult. They decide to take in a boarder, someone who could help them in this covert trade as well. But three is always a crowd. And soon enough, jealousies and hate begin to tear this odd trio apart. Whiskey proffers his love for Brandy. Gilbeys suspects Whiskey of being a traitor anda thief. Brandy is torn between the two. But Gilbeys and Brandys love for each other runs deep. A love that links the matter of eating chicken gizzards.